If you received something that doesn't fit quite right or something that you know you won't use, this guide is for you. We've all been there; some years more than others. But receiving or even giving a gift that isn't quite right is just part of gift giving. And you wouldn't be alone, either. 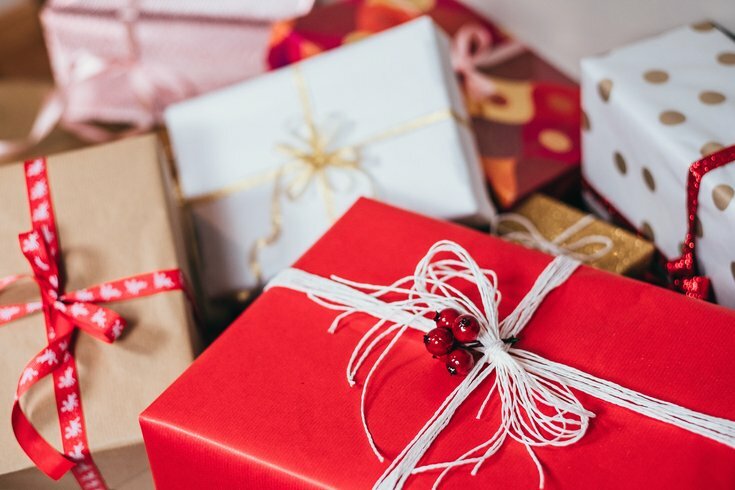 In 2017 the National Retail Foundation estimated around $351 billion worth of goods were returned during the holidays. And another survey conducted this year says that most people say a store's return policy plays an important role in whether or not they shop there. So if you're looking to exchange, get some store credit, or simply get some cash for a holiday gift, keep reading. The chances are pretty high that a gift or two to you or a family member received came from Amazon this year. Under the company's holiday return policy, items that were shipped between Nov. 1 and Dec. 31 of this year can be returned until Jan. 31 for a full refund. If your item was bought as a gift on Amazon, you can log in to the Online Returns Center on your Amazon account and select "Return a gift." From there you'll need the gift order number and you'll have to select how you want to return the item (Amazon locker, shipping, etc.). If you are the buyer, your refund will be processed to the original payment method. If you're the receiver, an Amazon gift card will be added to your account. Target's normal return policy is that all unopened items can be returned within 90 days. During the holidays, that has been shortened to 30 days for items purchased between Nov. 1 and Dec. 25. That 30-day period begins on Dec. 26. If you bought an Apple product from Target, you only have 15 days for a refund. If you have specific questions about products, here are some details. Walmart's return period is a bit longer than the others. If you bought the items between Oct. 28 and Dec. 25, each item is marked individually whether it has a 15-day, 30-day, or a 90-day refund period. You'll get a gift card or cash refund. If you don't have a receipt just bring your ID, your order number, or the gift-giver's email address. Read all of Walmart's holiday return policies here. OK, Apple is a little bit tougher with returns. Anything purchased at Apple's online store between Nov. 14 and Dec. 25 can be returned through Jan. 8. Everything else is covered by Apple's standard return policy, which means you only have 14 days to return items from the date you received it. You can also only return items that were bought online from Apple's website or at an Apple retail store. You cannot return opened (and downloaded) software, software upgrades, gift cards, developer products, and print products. Here's more. Don't destroy the box. This is obvious, but even if the retailer will accept a product in a ripped up box, they may impose a restocking fee. Bring ID. Some retailers are sticklers about this because they scan and store consumer data to track spending history. Bring the gift receipts — if you have them. Consumer Reports has a great, detailed list of retailer policies, from Bed Bath & Beyond to North Face. You're welcome.